There are two reasons to read Marsha Freemans book, Krafft Ehrickes Extraterrestrial Imperative. The first, is that it adds a crucial dimension to the historiogaphy of 20th-Century spaceflight, through a loving portrait of one its most important and interesting founders, Krafft Ehricke. More important, it evokes in the reader a childlike optimism about the possibilities for the future of humanity, with the inescapable truthat the same time obvious and fantasticthat mankind belongs among the stars. This latter feat is accomplished largely through the writings of Ehricke himself, a sampling of which comprises the greater part of the book, following Freemans enlightening biographical sketch of Ehricke and his place among the pioneers of human space exploration. 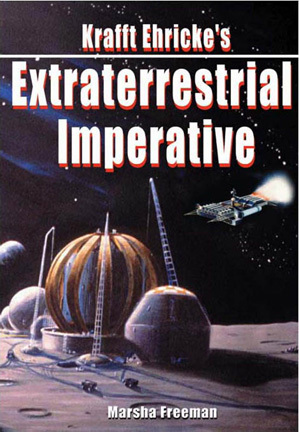 The selection ranges from a fictional account of a trip to Mars, written in 1948, to an excerpt from his titular manuscript The Extraterrestrial Imperative: From Closed to Open World, a book-length work that was never published, because of what Ehricke described as the then rising emotional anti-technology and anti-space moods of the early 1970s. 1. Nobody and nothing under the natural laws of this universe [can] impose any limitations on man, except man himself. 2. Not only the Earth, but the entire Solar System, and as much of the universe as he can reach under the laws of nature, are mans rightful field of activity. 3. By expanding throughout the universe, man fulfills his destiny as an element of life, endowed with the power of reason and the wisdom of the moral law within himself. As a young boy in Germany, Ehricke was enthralled by Fritz Langs famous 1929 silent movie The Woman in the Moon, and spent the rest of his life developing, and then elaborating, his three laws, as the drivers for the next phase of conscious, human evolution. He poetically envisioned the coming transition from our current Two-Dimensional civilization, in which the human population is limited to the surface of the Earth, to a Three-Dimensional, and, eventually, Four-Dimensional civilization, capable of moving across interstellar stretches of space-time. 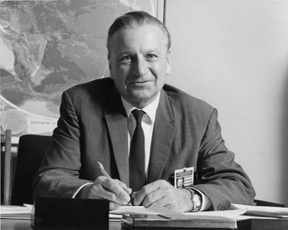 Ehricke brings to bear his extensive technical credentials in describing the actual means of accomplishing this, credentials which he initially earned during Germanys wartime rocket research at Peenemünde, and later, with both the U.S. Army rocket team under Wernher von Braun, and the civilian aerospace firms involved in Americas space program. Ehricke was an apostle for all aspects of space research and exploration. To the practical benefits of such activity for life on Earth, he devoted many pages of detailed proposals for industrial mining on the Moon and other planets, the use of orbiting microwave transmitters to relay electrical power across the globe, and even the employment of giant solar reflectors to increase crop yields and provide safer night-time lighting in poorer areas of the world. He argued that, more than a pragmatic approach to the human use of space, these activities ought to be viewed as relatively modest steps on the pathway to fulfilling mankinds Extraterrestrial Imperativethat is, the moral, spiritual, and physical-economic requirement for the human species expansion into the Cosmos. This kind of striking insight demonstrates Ehrickes intellectual kinship with the great biogeochemist Vladimir Vernadsky, who characterized the qualitative superiority of mans creative activity as the advent of the Noösphere over the Biosphere, itself a cosmic phenomenon. A similar kinship with Lyndon LaRouche, with whom Ehricke collaborated in the 1980s around their shared perspective for a great projects policy of colonizing space, was based on taking a simple epistemological principlethat mans Reason has no limits to growthand applying imagination and expertise to working out the practical expression of that principle in its full scope. This depth of thought comes across through the broad range of Ehrickes writings and spoken words included in the book, which show him to be a consummate organizer, inviting the reader or listener to share in the celebration of mankinds most exciting endeavor. As both a profound philosophical truth, as much as a practical assessment of the reality of human nature, Ehrickes message is clear: The whole Universe is our rightful domain. As Freeman adeptly elaborates the background with her own intimate historical knowledge of the period, Ehrickes brand of militant optimism takes on new significance amidst the cultural degeneration beginning in the late 1960s, in which existentialism and environmentalism led to, among other things, the extinction of the once great ambitions of our national space program. Ehrickes Classical education in the humanist tradition of the science of Kepler and Leibniz, to which he was consciously committed, gave him an instinctive aversion to the pseudo-science of the ecological Limits to Growth pessimism that became pervasive in Western Europe and the United States. Here, it becomes most clear, that Ehrickes signal contribution, as he himself saw it, was toward the philosophical underpinnings of a new social-scientific paradigm, embodied in the Extraterrestrial Imperative, for which he was a tireless advocate until his death in 1984. 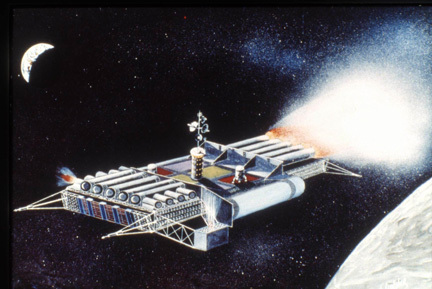 A nuclear-powered lunar freighter, which uses materials on the Moon for fuel, is one of the vehicles Ehricke designed as part of the transportation infrastructure that would open the solar system to mankind. It is important to point out, that Ehricke did not simply advocate grabbing real estate on other planets as a scheme to relieve overpopulation and overpollution on Earth. 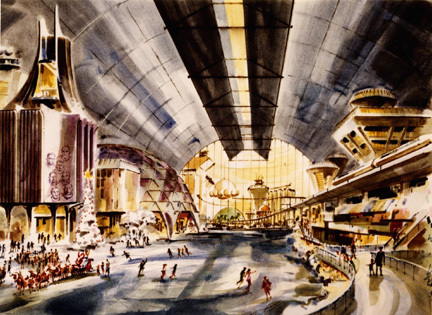 Rather, he argued that it would be more effective to initially focus on shifting large-scale industrial processes to other planets, in order to better maintain the Earth as a garden spot, capable of supporting a growing population at an increasing standard of living. With the industrialization of the Solar System, we would be in a position to create entirely self-sufficient colonies, or planetallas, not attached to any planetary body, eventually moving out beyond our own neighborhood, beyond the Solar System itself. The horizons of todays national space program are pitifully shrunken, in comparison to Ehrickes grand vision, with the Space Shuttle scheduled to cease operations for good next year, without a replacement vehicle for at least several years after that. As such, Ehrickes writings should be required reading for national policymakers, NASA managers, and aspiring scientists, but also for anyone who takes joy in the understanding that imagination is necessary for human knowledge. Marsha Freemans book is an excellent place to start.